The boatyard for the professional and the leisure seaman alike. With an internet link into the Yamaha Parts Distribution Network, we order directly from the automated European Parts Warehouse. 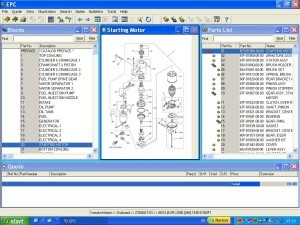 We know, in a mouse click, the price and availability of any marine part. Generally we receive our order the following day, or the day after that, depending upon the time of ordering. Having achieved the high standards Yamaha insist upon, we benefit from their backup and support. So can you. 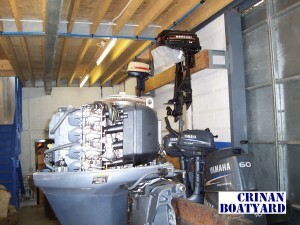 Crinan Boatyard is one of the few dealerships in Scotland for both Yamaha outboard motors and Yamaha inboard marine engines.